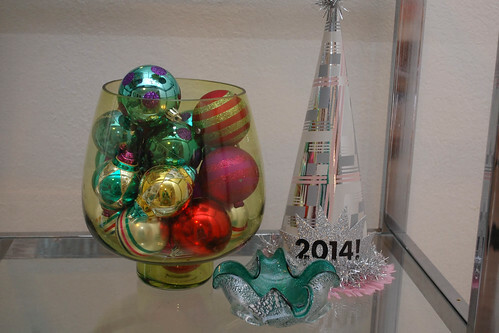 Looking for a quick and easy way to celebrate New Year's Eve? 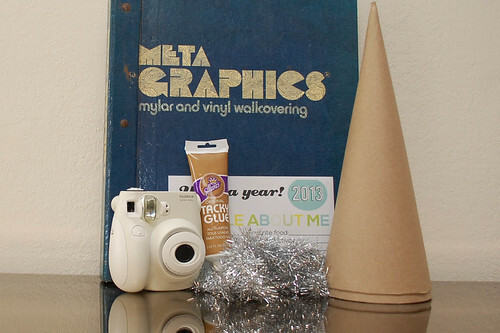 Send 2013 off with a crafty bang! 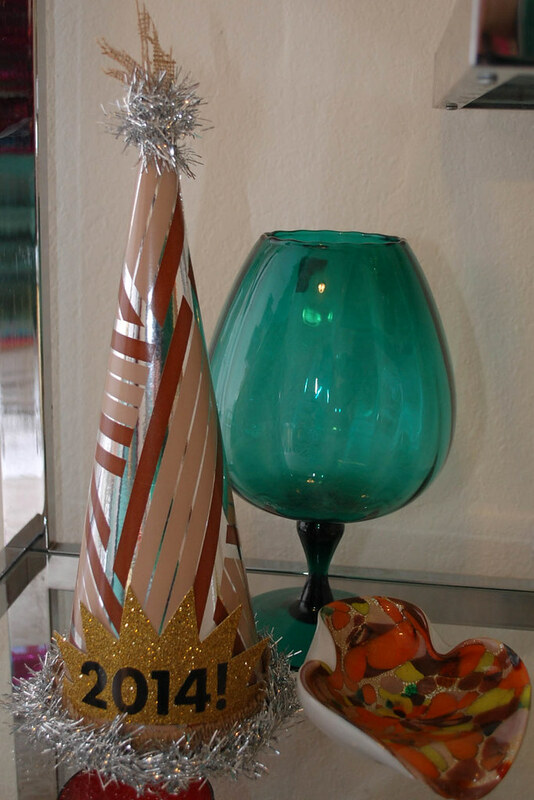 Nothing says NYE like a fun party hat, but what about a party hat that is really a time capsule? 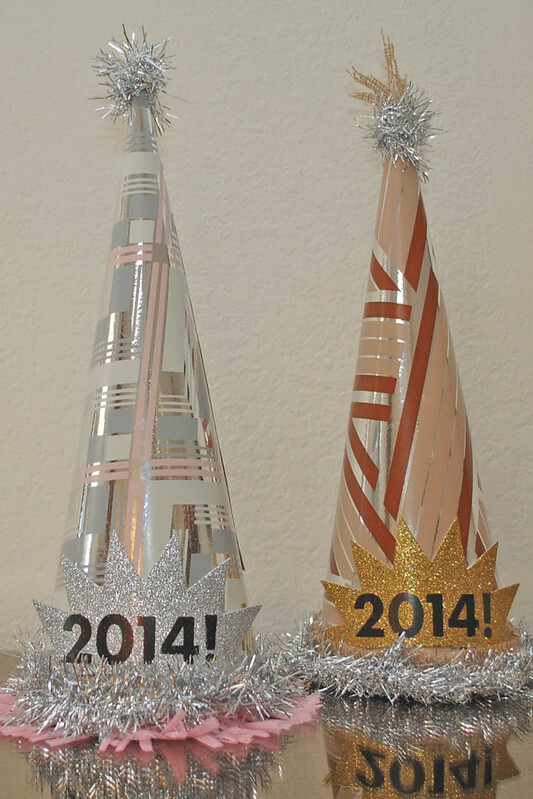 That's right these decorations are not for wearing, they are for stashing away memories to be saved for NYE 2014. The first thing I did was take pictures of my kids using the new instant camera Santa brought me. I wanted to capture them today on New Year's Eve. Funny glasses are optional. You could also brush your kids hair if you wanted. Next, I interviewed my kids. 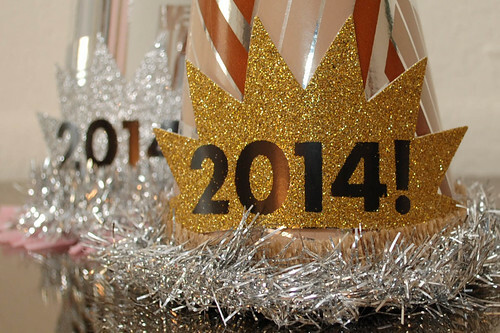 You can make up your own questions about 2013. Baxter is a wee it young to start setting goals. We discussed favorite engines on Sodor, riding bikes without training wheels and debated between pink and green as favorite colors. Decorating the hats/time capsules is the fun part. There is no right or wrong way to do it. 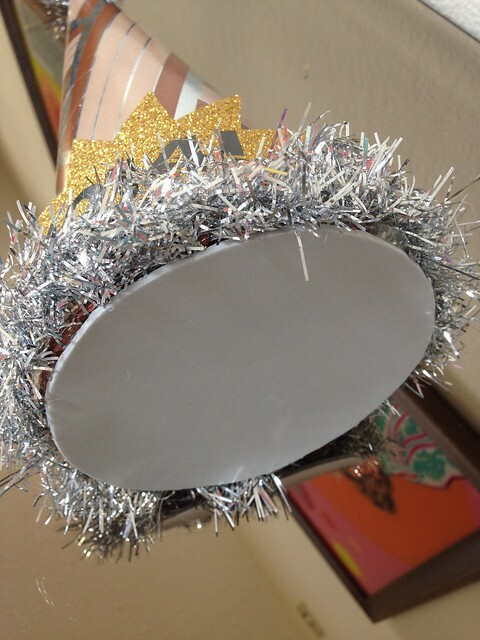 I used vintage wallpaper, leftover Christmas tinsel, burlap and the tops of some party favor sunglasses I cut up. I do suggest sparkle being involved. It is NYE after all. I used Aleene's Tacky Glue to decorate my cone. 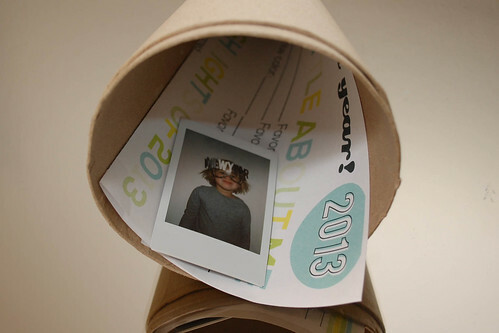 Once the glue was dry I inserted my interviews and pictures in the hat. I used craft foam and Tacky Glue to seal it up. One year from today we are going to open our time capsules and giggle about all the answers. 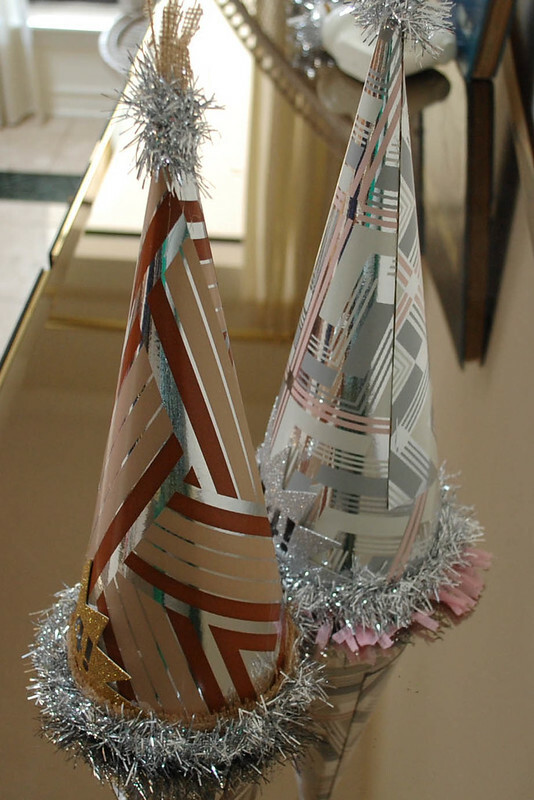 In the meantime these hats look pretty spiffy as decorations. It is greatly appreciated. How would I apply the discount when ordering rolex replica sale. Thank you very much for sending the replica watches uk link for the YouTube video. We have already looked at that. Unfortunately there is absolutely no way that the flip lock will flip up to allow the clasp to open. It doesn't even look anything like the clasp that you have pictured on your website for the replica watches model that we purchased. I have photos of the clasp that you advertise and a photograph of the clasp on the replica watches sale that we received and there is no indent to get a fingernail underneath and the rolex replica uk is in a completely different place. I can send the photograph if this helps. I have taken the replica watch to a jeweller and they cannot get the screw out to fit the clasp on the strap. The screws are really small and there must be a problem with the head of the screw.